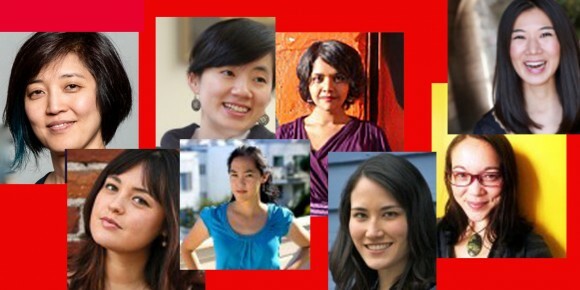 Spotlight on Ma-Yi Writers Lab Members Mia Chung, Leah Nananko Winkler, Hansol Jung, Lauren Yee, Madhuri Shekar, Susan Soon He Stanton, Jiehae Park and Sam Chanse. 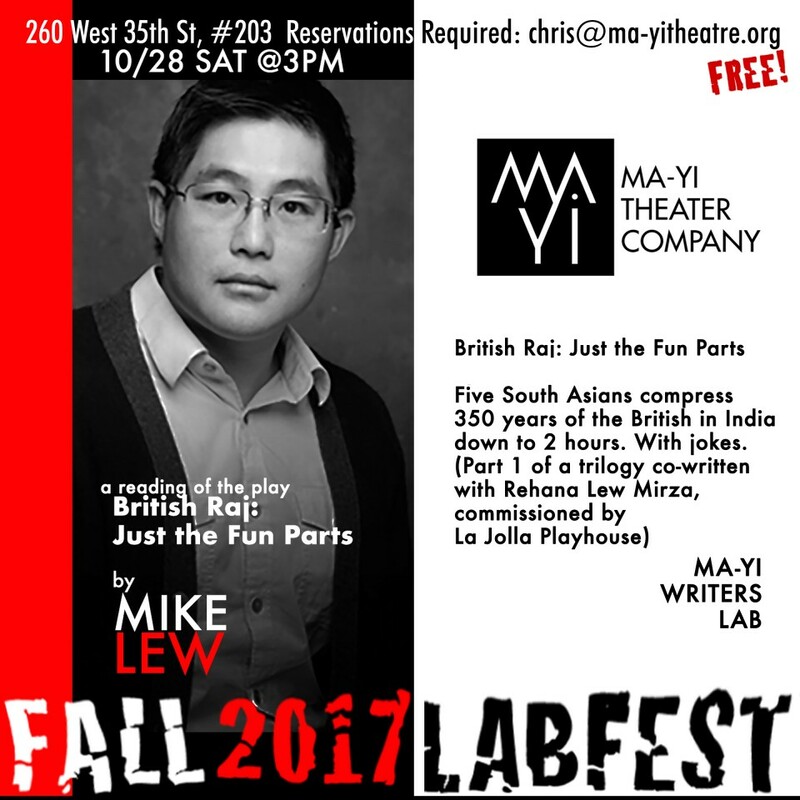 Ma-Yi’s mission is anchored by supporting the works of Asian American playwrights. We are also committed to a diverse and inclusive culture that makes room for women, the differently abled, LGBT and non-binary artists and people of color. Last year, Theatre Communications Group reported that women playwrights authored only 22 percent of a sampling of 2,508 produced plays. TCG also reported that of the Top 10 produced plays of the 2014/15 season, only two were penned by women. This NY Times article about theater jobs leaning towards white and male confirms the inequity. 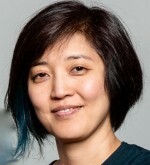 Hansol Jung (Among The Dead, Ma-Yi mainstage) was at Artist Repertory’s At the Table in 2017/2018 to develop Wolf Play, “a messy funny disturbing theatrical experience grappling with a wolf, a puppet, and a very prickly problem of “what is a family, and what do we need from them, today? Is it very different from the things humans have needed from families before? ” At the Table offers commissions for playwrights to start a new play, to finish one already begun or to revisit one that hasn’t yet been fully realized, and are committed to offering women, non-binary and transgender writers, writers of color, and writers of work for young audiences a place at the table. Eugene O’Neill Theater Center recommended Wolf Play as a finalist for the 2017 National Playwrights Conference. out of more than 1,300 submissions, citing the deeply moving dissection of the meaning of family, as well as the innovative theatricality of both the structure and character of the play. 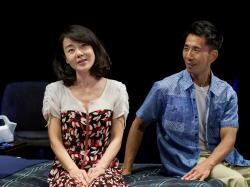 Jung’s Wild Goose Dreams recently finished a run at LaJolla Playhouse. International City Theatre‘s 2018 season, is featuring featuring Hansol Jung’s Cardboard Piano in May of 2018, about the daughter of an American missionary and an Ugandan teenage girl who find love against the backdrop of Uganda’s civil war. The play was recently done at International City Theater in Long Beach. 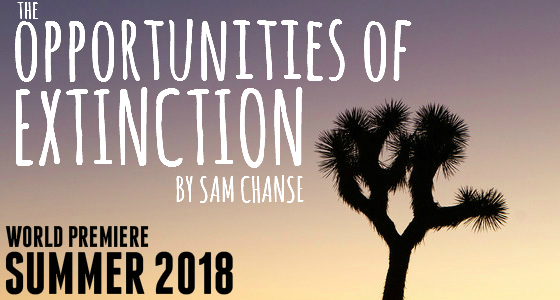 In the summer, Jen Poulin of Broken Nose Theatre will direct Lab Member, Sam Chanse’s “The Opportunities of Extinction” (June 2-30). The drama, which will feature Echaka Agba and Aria Szalai-Raymond, and follows connections made in the Mojave Desert following a social media firestorm. Performances will take place at The Den Theatre in Chicago. Sam’s play, The Other Instinct is one of six plays chosen through the Open Access Program for the Lark Theater 24th Annual Playwrights’ Week from a pool of nearly 1,000 submissions. Susan Soon He Stanton‘s play Today is my Birthday will debut locally at the New Ohio Theatre in November. Told through a playful mixture of phone calls, voicemails, and live radio spots, the play is a comedy about loneliness in the age of connection. 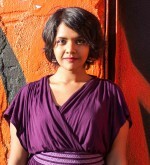 Susan received the Lark Theater Venturous Playwright Fellowship for the play. 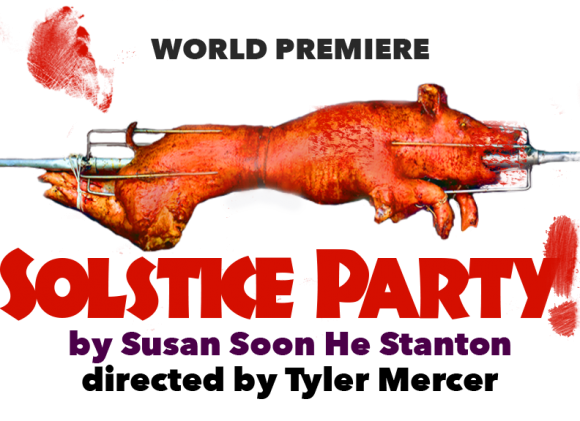 Susan is set to have another world premiere Off-Broadway this fall with Solstice Party!, a drama that explores themes of groupthink and betrayal. “The new play sees a group of friends gather in upstate New York for the summer solstice and is eerily billed as “a Jonestown parable for the Trump era.” The play is presented by Live Source Theatre Group with direction by former Ma-Yi staff member, Tyler Mercer. Performances will run November 2–19 at the A.R.T./New York Theatres. 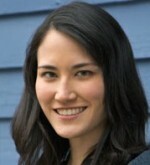 Susan is a staff writer for the London TV series Succession, on HBO. First Floor Theater‘s production of Leah Nanako Winkler‘s “Two Mile Hollow” is premiering now in Chicago. A satirical takedown coupled with moments of disorienting sincerity, the play explores the age old genre of plays about affluent white families retreating to their waterfront homes to battle it out with brutality, awe and compassion.The beauty part of Winkler’s play is that all the characters are played by actors of color, sporting platinum-blonde wigs and silver-spoon cluelessness. Labbie, Jiehae Park’s world premiere of “Hannah and the Dread Gazebo” is playing at the Oregon Shakespeare Festival’s Thomas Theatre in Ashland, Oregon, until October 28, 2017. Directed by Chay Yew. 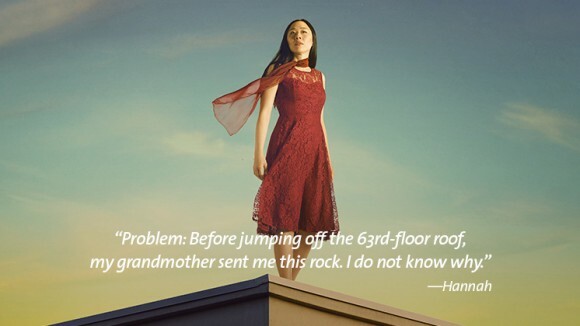 the play begins when Hannah receives a strange package from her grandmother, who may—or may not—have just ended her life in a most flamboyant fashion. The mystery leads Hannah and her family on a surreal, funny, heartbreaking adventure back to their roots in South and North Korea and the forbidden Demilitarized Zone that divides them. 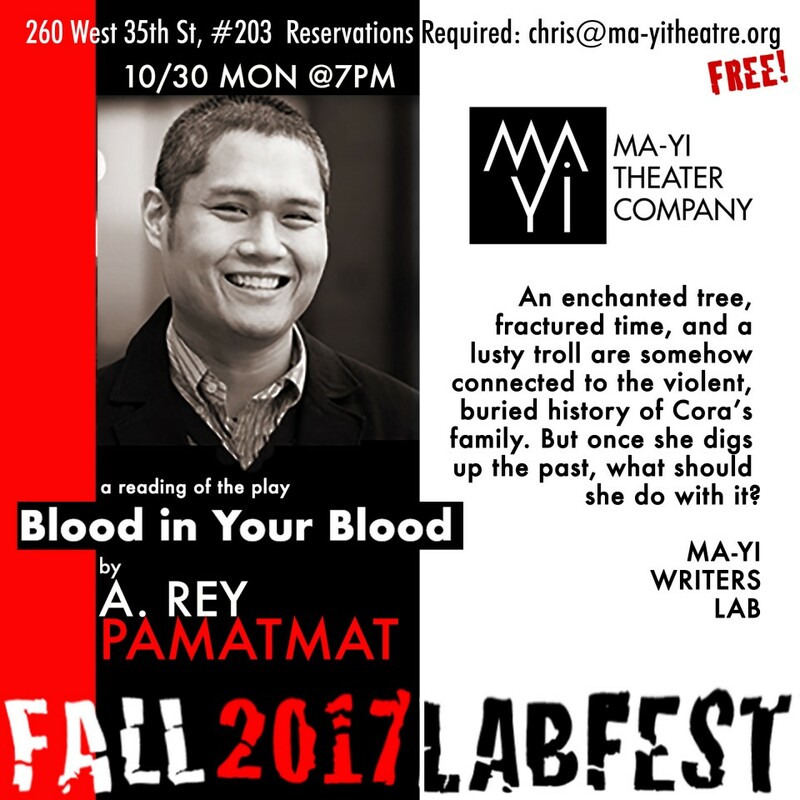 This play focuses on the immigrant experience, family, love, pain and overcoming the pain, and about mystery. Watch this interview video andthis great production trailer of the production. In May, Jiehae Park’s peerless, the tale of a pair of high school siblings determined to get into their dream university, was staged at the Boston Public Library. 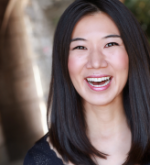 This year, Jiehae was one of eight writers inducted into New Dramatists resident playwright company, a developmental laboratory for professional playwrights. 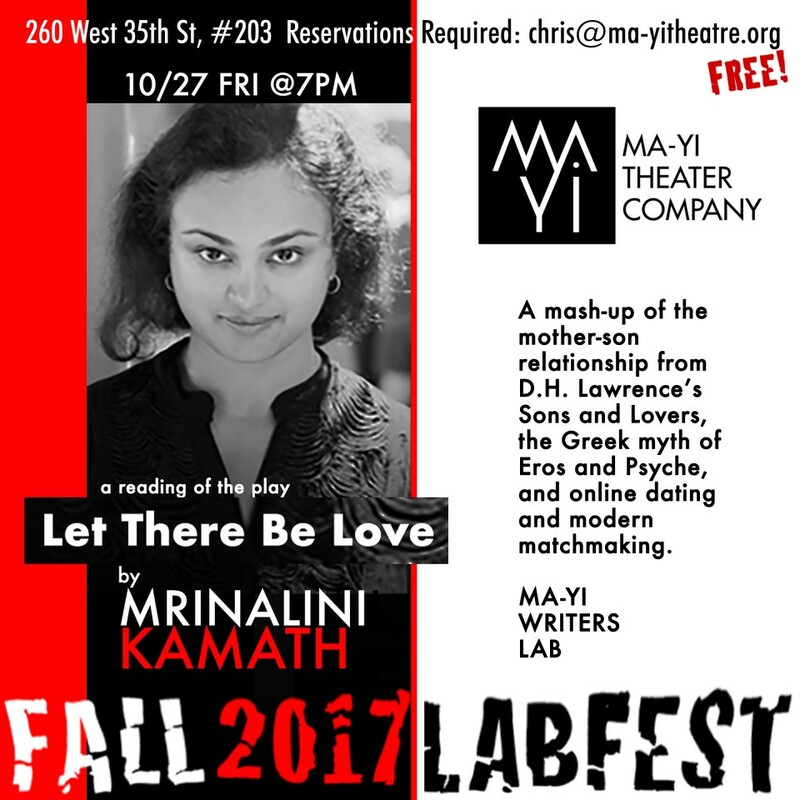 She served as a judge in the Samuel French Off Off Broadway Short Play Festival, along with Lab Member, Lauren Yee, in August. 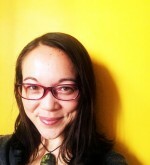 Winner of the 2016 Francesca Primus prize, Lauren Yee is a busy and highly produced playwright this year. 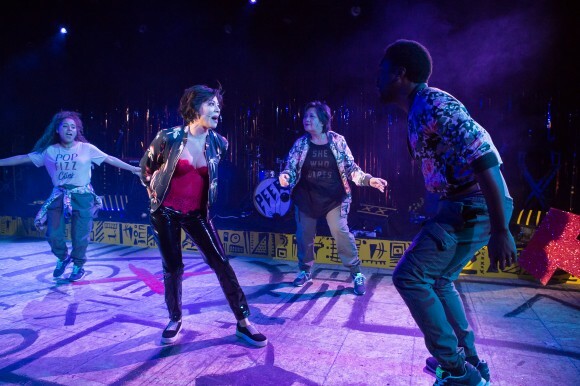 Her King of the Yees premiered this past season at The Goodman Theatre and Center Theatre Group and at ACT Theatre and Canada’s National Arts Centre. 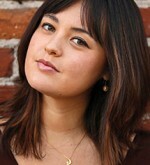 Still to come is her play, Cambodian Rock Band at South Coast Repertory. The play uses the music of real-life rock band Dengue Fever, to tell the story of the fallout from the Khmer Rouge. Yee’s The Great Leap will play at Denver Center, Seattle Rep, and Atlantic Theatre Company. about an American college basketball team in Beijing for a “friendship” game in the post-Cultural Revolution 1980s inspired by events in Yee’s father’s life. 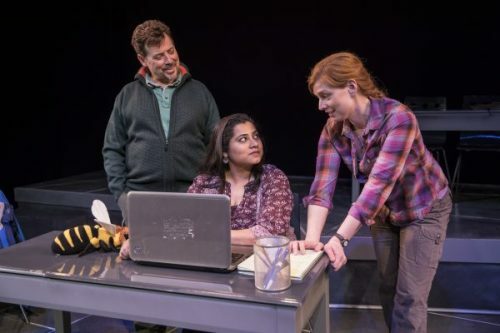 Her play, in a word, about a couple whose adopted son is missing, just finished a run at Chance Theater, where she is a onetime playwright-in-residence which gives this work its Southern California premiere. 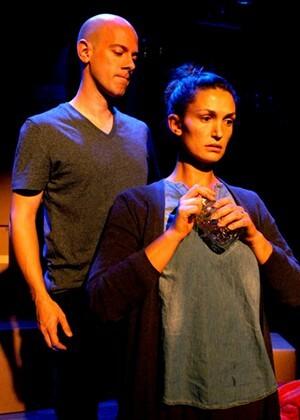 The play is a finalist for the ATCA/Steinberg Award. 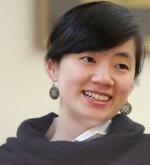 Yee is the recipient of The Kesselring award, prestigious prize, which includes a $25,000 award and the opportunity for the playwright to develop her work with the club. We will continue to bring you great news and productions of our Writers Lab Member plays and appreciate your support of our cause. 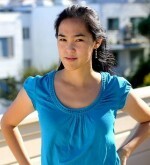 Ma-Yi Updates Casting Database, Seeking Your Input! 3.) Be shared with other theater organizations on a cooperative basis. 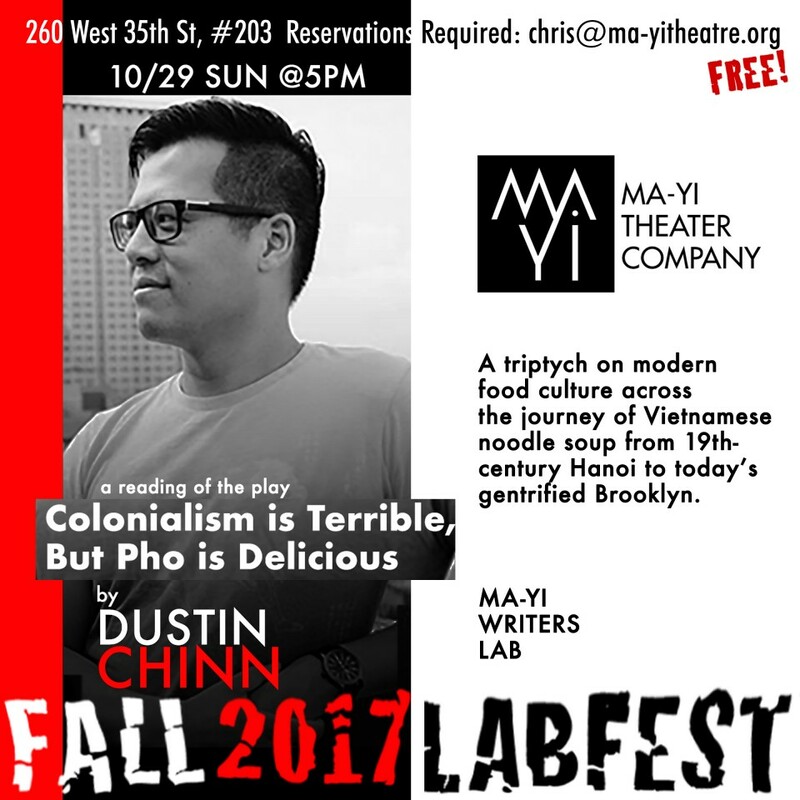 During October 27 through October 30, Ma-Yi Theater Company’s WRITERS LAB will be conducting staged readings of their new plays and works in progress. The public is invited via reservations and the productions are free. 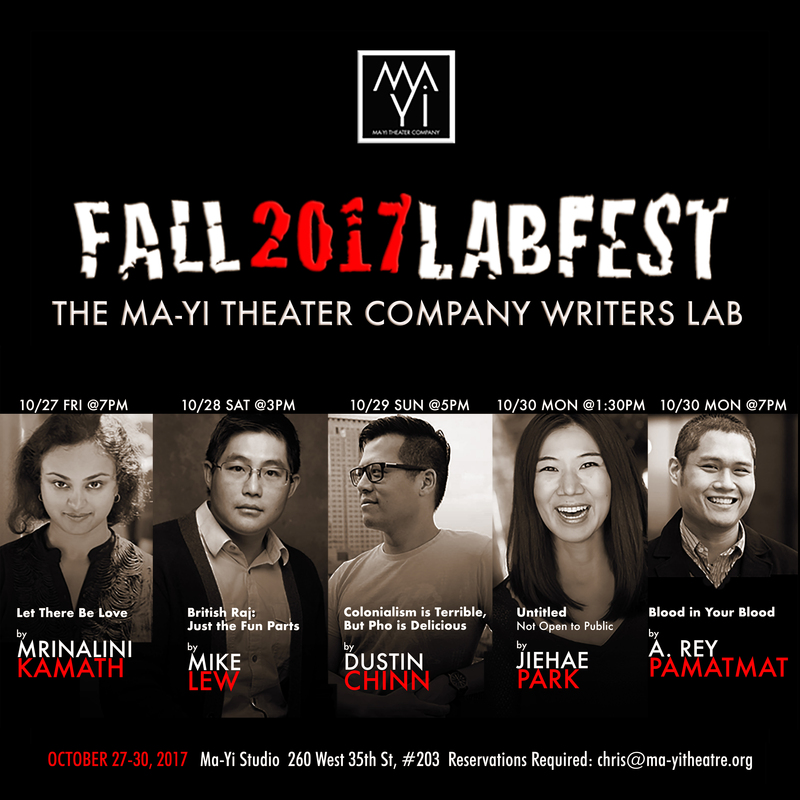 The Ma-Yi Writers Lab consists of over 30 Asian American Playwrights who offer their works through our main stage productions and bi-annual LABFESTS like this one.